Welcome! I have been anticipating my stop on Quiltmaker's 100 Blocks Blog Tour and glad you here! If you are new to my blog, I'm Paige and you can read a little bit about me here. I am so honored that my block and first published pattern, It All Adds Up, is included in this issue of 100 Blocks and I am participating in my first blog hop! 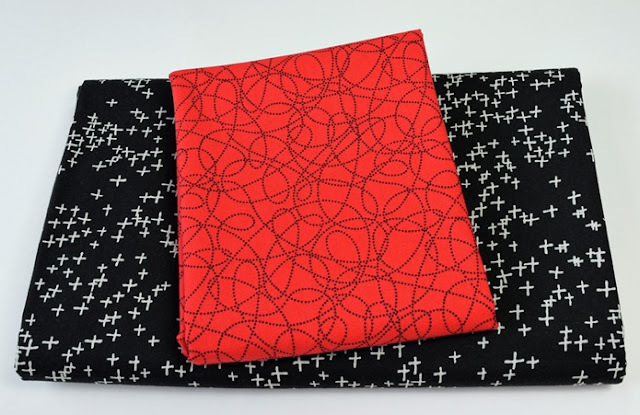 I wanted fabrics with high contrast and chose Scribble Dot in Red from the Breezy Blooms collection by Susan Rooney for Benartex and Petite Plus, from the Black and White collection by Cotton and Steel, a division of RJR Fabrics. The background is Kona Cotton in white by Robert Kaufman. I forgot to take a picture after I added my signature to the block so here it is in the magazine, block #1253 on page 36. You can tell I'm just a little excited, right? I originally drew the plus sign block on graph paper and then digitized the design in EQ7. 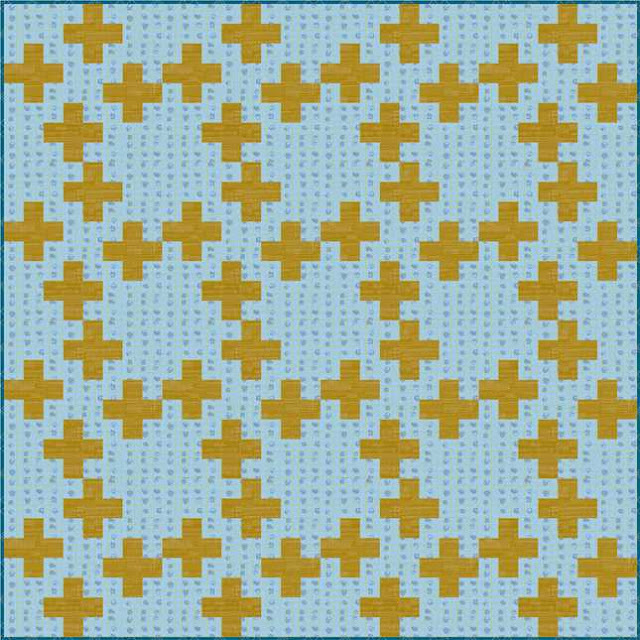 Here is the 4 by 4 layout from EQ7 rendered in the same fabrics as the original block with the every other block rotated 90 degrees. And since you can quickly and easily swap out colors and fabrics in EQ7, here are a few variations in the same 4 by 4 block layout. 1. 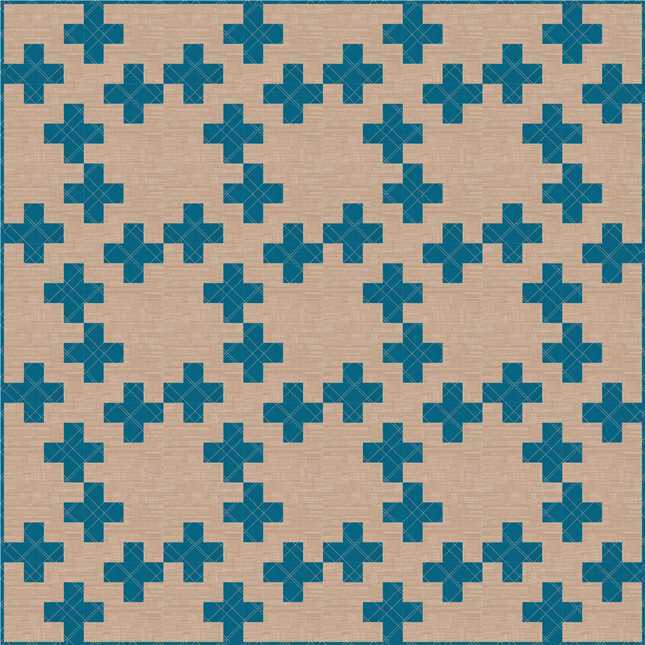 Each plus sign is a different color within the block and rendered in fabrics from the Flow collection by Zen Chick for Moda Fabrics. 2. 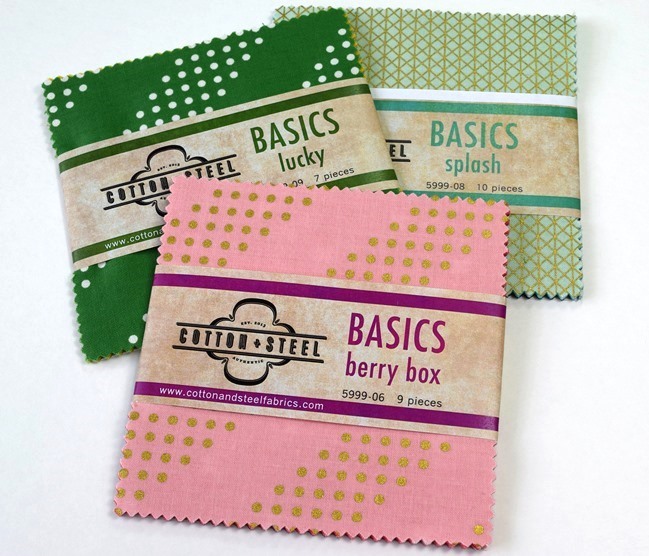 This time all the plus signs are the same color, Tic in Pickle and the background is Blueberry Carpal Stone, both from Carolyn Friedlander's 4th fabric collection, Carkai, for Robert Kaufman Fabrics. 3. More Carkai was used in this one and has more of a masculine feel. The plus signs are Metallic Windowpanes in Navy and the background is Tic in Parchment. 4. This one is rendered in batik blenders which coordinate with the Crystalia collection, the 2016 Hoffman Challenge fabric. 5. And one of my favorites is this one rendered using different fabrics from Handcrafted Indigo by Alison Glass for Andover Fabrics and a white background. You can see the different looks achieved by using just one fabric, two fabrics or four different fabrics for the plus signs. You could even make a scrap quilt and make each plus sign from a different fabric. One plus sign can be easily cut from one charm square. Quilts 1 through 5 were all designed from fabrics in the EQ Stash Online 2016 Download 01. Giveaway #1. 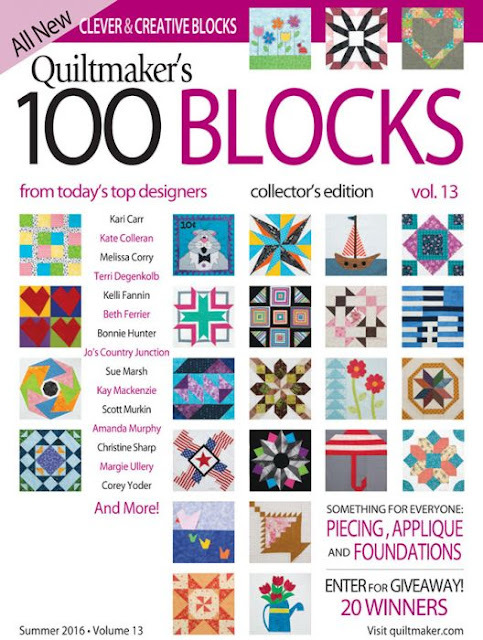 The editors at Quiltmaker are sponsoring a giveaway for a copy of 100 Blocks Vol.13 and they will mail the magazine directly to you anywhere worldwide. Giveaway #2. I have a copy of 100 Blocks Vol. 13 plus 3 Cotton + Steel Basics charm packs (26 pieces total) to give away to one lucky person. I will personally ship this giveaway to anyone worldwide. 1. Leave a comment letting me know if you have made or would like to make a plus sign quilt. Update: Giveaway is now closed and winners will be notified. Thank you for your comments! The giveaway will run through Thursday, May 12th and close at 8pm. I normally respond to every comment received, but during the giveaway the volume may be to large for me to do so. Please leave your e-mail address so I have a way of contacting you if you are a no-reply blogger. 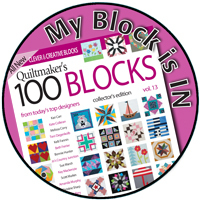 I hope you have enjoyed the 100 Blocks blog tour this week at Quiltmaker's blog, Quilty Pleasures . To see all of the creative and original blocks in this issue, 100 Blocks Vol. 13 is available on the newsstands now or you can order 100 blocks from Quiltmaker to see other great blocks included in this issue. I love plus quilts but have only made a mini. I am going to make a plus quilt and I love your design so maybe that will be the one I make. Thanks for a great giveaway. I have made a plus table runner years ago, but I would like to make a bigger-scaled plus bed quilt soon. 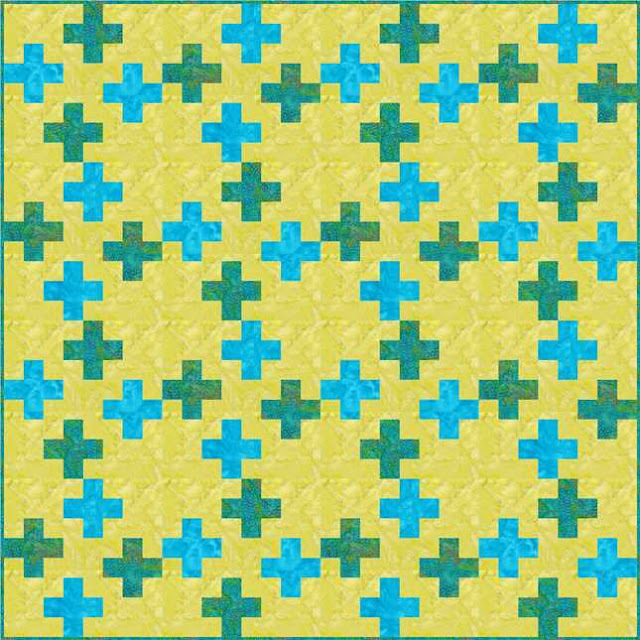 I would love to make a plus quilt.In scrappy greens. I have not made a plus quilt yet, but I would like to--love your design for it--think I need to make one soon! I really like this setting! I have not made a plus sign quilt. But i should, they remind me of tetris blocks. I have made a Plus quilt and love the design. Definitely could make another! I follow your blog and follow you on IG. I should follow you around Greenville and copy everything you make! 😂 Congrats on having your block published! I never made a plus sign quilt but I used to be a math teacher so maybe I should! I would love to make a plus sign quilt. Thanks for sharing. My sister was the first person that showed me a plus sign quilt. So am anticipating that I have to make her one soon. I started a Plus quilt using 2 1/2-inch strips, but got bogged down. I like your block much better. I think I'll turn my effort into a pillow and move on. 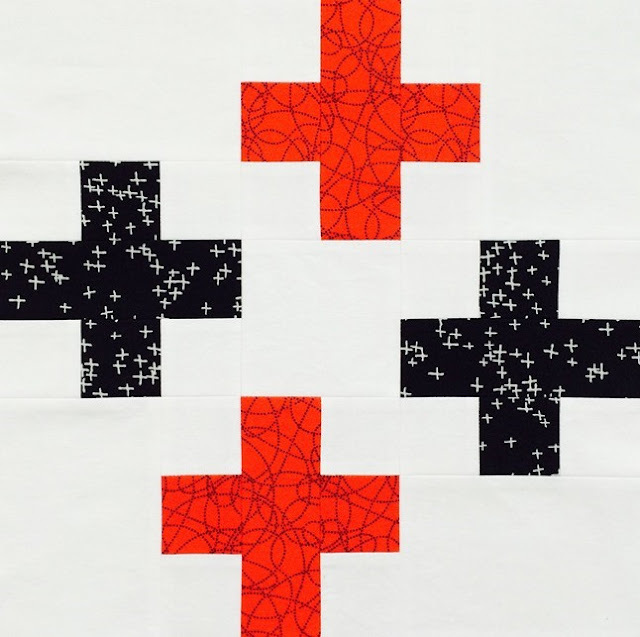 I've never made a plus sign quilt, but would like to try. I haven't made a plus sign quilt, it's on my ever growing bucket list. I like the multi colored one and making one from scraps would be wonderful. Thank You. 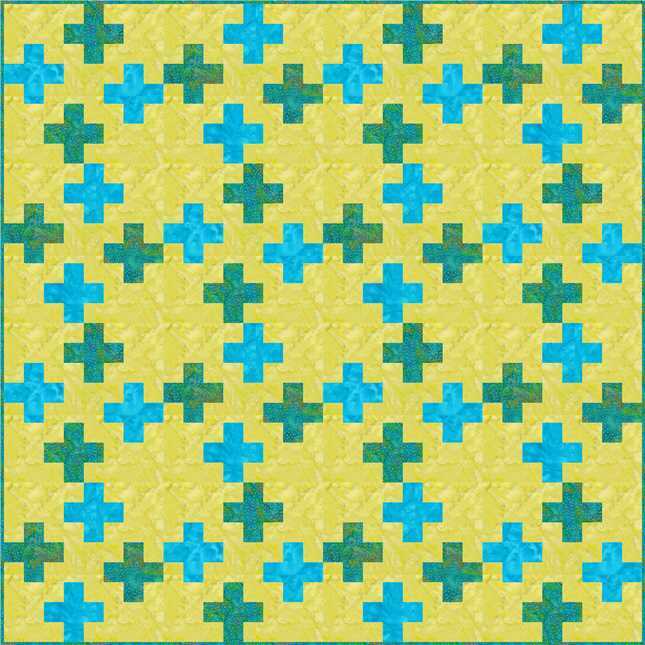 Hi Paige, this is Diane from Quiltmaker, I write the patterns for Quiltmaker's 100 Blocks. We're so happy to have you in this issue. I love all the variations of your design! Thanks for taking time to share them with everyone. Hope the blog tour is great for you! Diane, thanks so much! What an honor my block was chosen! I'm really trying to use up my scraps. I think your block would be great for a scrap quilt. Good morning... I've never made a Plus Sign quilt, ever. But after seeing how the colors can change the personality and feel of the quilt I've very tempted to try one this summer. 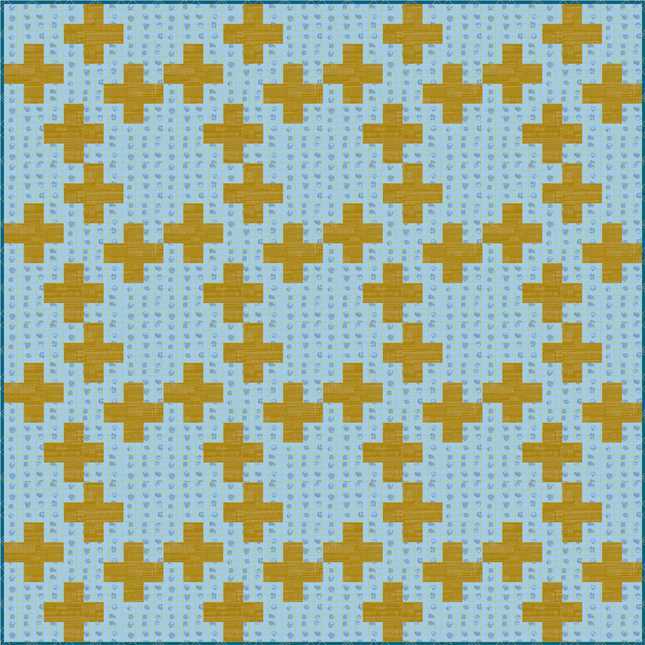 I have not made a plus sign quilt yet but will use your block to make a scrap version. Congratulations on your winning block. Thanks for the chance to win. I have not yet made a plus sign quilt but plan to. I like the multi colored one. A plus quilt is on my to do list, later this year. The block is definitely on the to-do list. Being a homeschool mom, we love anything that reminds us of addition/multiplication/subtraction math facts! Congrats on a fun block. I LOVE how it comes together as a quilt, and the different fabric choices changing the look! I have not made a plus quilt but I would like to make one in scraps. Lots and lots of scraps! Maybe I should show my DGD how to make this one! Beautiful block and great post! I love all of the different color renderings. A plus sign quilt is on my bucket list....wish I had time to complete the projects on my list!! congratulations, your block is great. I have not made a plus sign yet. looks fun and easy. on my list it goes. Your block is great. I haven't made a plus sign quilt yet, but you have put it on my list. I have not made a plus sign quilt; but, that is one cool block. I like how I could make four of them staggered like you have. Congrats! And, thank you for a chance to win. Congratulations on your published pattern, and good luck with the blog tour! I'm making a plus quilt using epp which is fun, but slow work. Maybe I'll have to try your pattern! I have been wanting to make a plus quilt. Your block and quilt layout is awesome. I have made a quilt with plus signs, actually intended to be crosses. It's done in grays, drab blues and reds to replicate a Civil War design. I love all the versions using your block, but the indigo is my very favorite--thanks for showing all the fun variations! I have not made the plus sign quilt but I would like to make it as a table runner. I follow you on instagram, Facebook, blogging and google plus. Congrats, Paige! On being published and on your first blog hop, lots of exciting stuff. I have never made a plus quilt, but I have been eyeballing a few designs. I have never made one, but it is certainly on my "to do" list! Thanks for the chance to win! I have not made a whole quilt, but have done a plus block as part of a block exchange. It does have so man neat possibilities. I haven't made one yet but I love the possibilities! Thanks for the chance to win! This being your first blog hop, you have created an amazing block for us to make. Yes, I would definitely like to make your plus sign quilt, using the Cotton and Steel basics charm pack. I just love Cotton and Steel Fabrics. Thank you for being a part of QM 100 blocks and the chance to try and win a copy of that awesome magazine and, of course, that fabric. Happy Mother's Day!. I haven't made a plus quilt, but I'd love to use your pattern for one. I would love to make your Plus block, I just can't decide if it should be scrappy or two colors. How would you quilt this quilt? 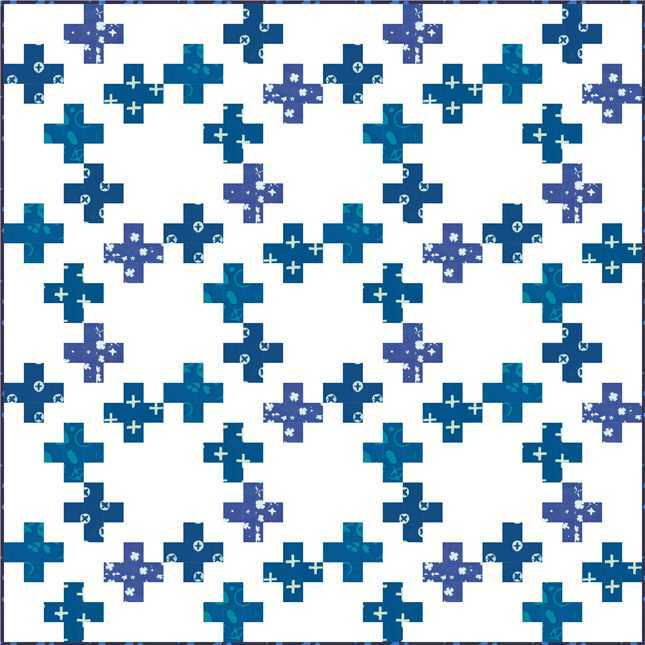 I am just learning FMQ and finding it hard to decide what pattern to use to quilt my quilts. Thanks for giveaway. Donna, deciding on a quilting pattern is the hardest for me as well! 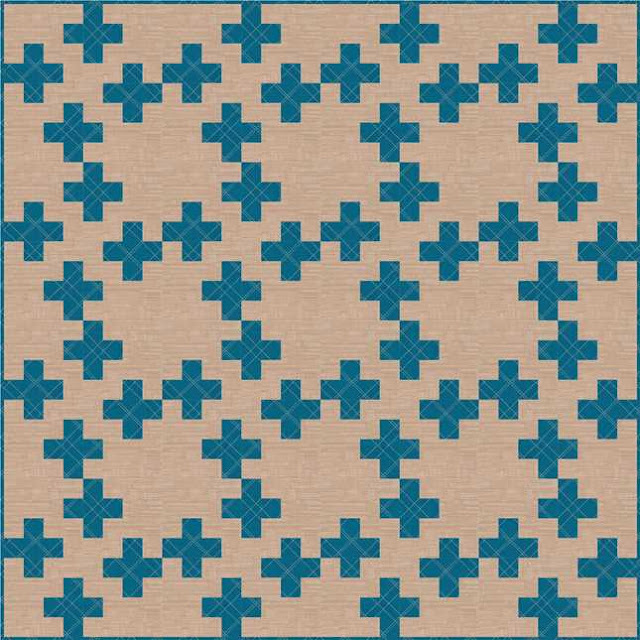 This would look great in an all over pattern such as a regular stipple or a geometric stipple. Or possible random straight lines quilted horizontally or vertically or a combination of the two. I've never considered a plus sign quilt until I saw your pattern - now I can't wait to start digging in my stash so I can get started right away! Thanks very much for the chance to win! I have not made a plus quilt, but this block makes me want to pull out my scrappy squares and get busy! 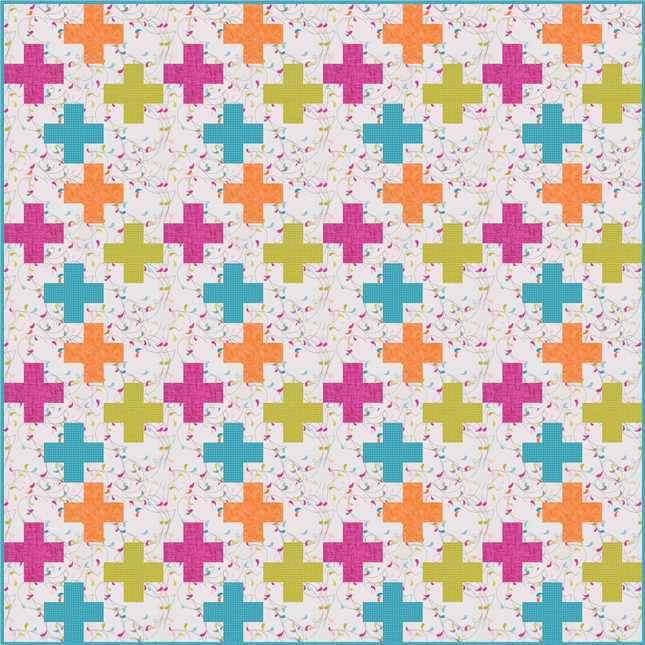 This is the perfect block to use for the APQ Quiltalong, "It All Adds Up!" I haven't made a plus sign quilt yet. I like your design very much. I haven't made a plus quilt, but it sounds like fun. I haven't made a Plus Sign" quilt but with the grandkids beginning to reach school age I might make each family a "floor" quilt. They all like to get their baby quilts I made for them and put them on the floor to sit on while watching tv and playing. I've never made a "plus sign" quilt - but I liked the one using different colors in the pluses. That could be a good way to use up some stash! I've made a variation of a plus quilt, with the pluses joined together. I'd love to make another using your block. Thanks. I'm already a follower with Bloglovin'. Thanks again. There's a class of plus sign quilts? Who knew? Although I like the block and your use of different fabrics--and how it looks in a whole quilt--I would not, personally, make it at this time (must finish wips...). If I did, I would investigate putting something in the "centers". Or use black as the background with dayglow plus's (at least I'm thinking about it!). Thank you for a chance to win. I have not made a plus quilt and I am focused on working through my UFO stack to plan a new quilt at this time. On my bucket list includes a plus sign quilt and hoping to do it in black, grey & white. I haven't yet made a plus quilt, although I've pulled the fabric to make a small wallhanging in honor of my grandfather who fought in WWI; it is a plus sign quilt in the fashion of the Red Cross quilts that were popular at the time. I am a new follower on bloglovin, using my email of wordygirl at earthlink dot net. I have not made a plus quilt, but I definitely want to after seeing your block! Congratulations! I love your It All Adds Up block! I have never made a plus quilt, but I can picture this with a text fabric background with different solid colored pluses. I love plus quilts- and I like that yours can be made from charms (I have recently developed a weakness to charms and am looking for ways to use them!). I haven't made one yet, but I would love to! I have made a plus quilt. I would love to make another one using this block. 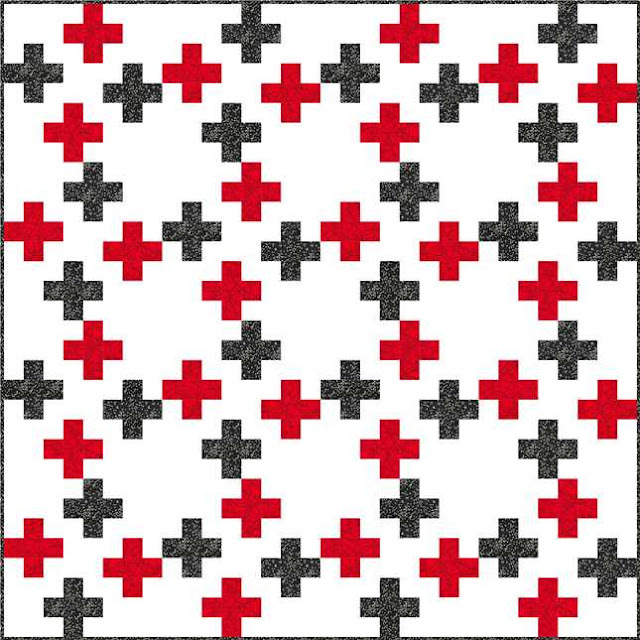 I have never made a plus sign quilt, but I would like to try it. I would like to make the plus blocks using my scraps to make a bright quilt. I am following you through email. I LOVE your block, Paige! I haven't made a plus sign quilt yet but the modern style quilts have been appealing to me lately and I think your block would make an awesome mini! Yes, count me in - Plus Me too!!! Love it, love it, love it! 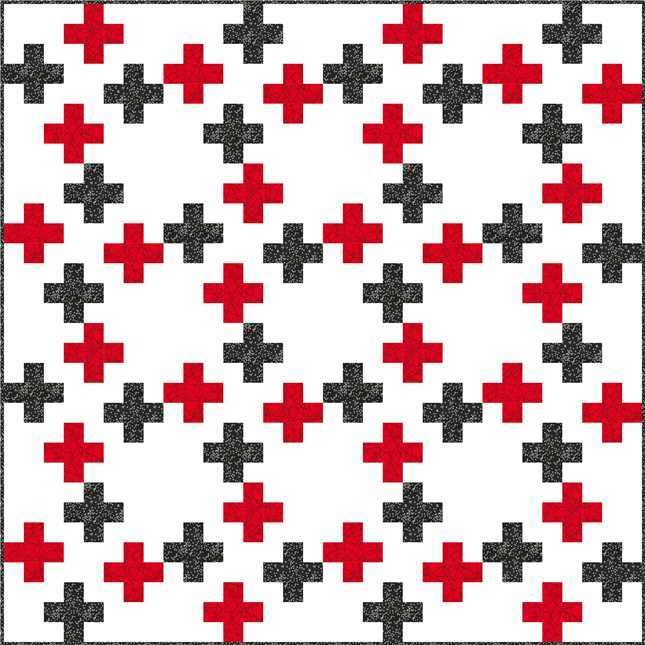 I have not made a plus sign quilt, but I'm always looking for new designs to try. I have definitely enjoyed the blog hop. It is fun to visit so many designer blogs. I have never made a plus sign quilt but I am really enjoying all the different versions you have shown. I think a scrappy quilt using the plus sign may be on my bucket list. I've never made a plus sign quilt, but I just might! LOL! I am now following you via email and IG! Great block and I love the red and black combination. I haven't made a plus quilt yet but I would like to. I have made my first plus sign block...does that count lol? I love Cotton and Steel...yum! I would love to make a plus sign quilt. Congratulations on your block being selected. I'm following you via email. I recently made a plus sign baby quilt. It turned out so cute that I will likely make some more. Love your arrangement of the plus signs. I haven't made one, but your version looks incredible. Congratulations Paige! I have never made a plus sign quilt but it would be a good reminder to think positive! Lovey design Paige! I really like how a secondary pattern is created when the blocks are put together! I would certainly make this pattern. I am newly following you on Bloglovin and Instagram through the 2016 New Quilt Bloggers group. Thanks! I haven't made my plus quilt yet, it's on the list to do. I have been wanting to make a plus sign quilt and I really like your design. I would like to try in a scrappy or controlled scrappy palette. Thanks for the chance to win and congrats on being in the issue. would love to make a plus sign quilt!!! no, I not yet made a plus sign quilt, but have enough scraps to make a scrappy now that I've seen your 'it all adds up' rotation design. I've signed up for an email subs. will enjoy following along. I have never make a quilt with a plus sign in it, but there is always a first time. Thank you so much for sharing your talents. I have not made a plus sign quilt, but have thought about doing one for a baby quilt. Thanks for the giveaway! I have never made a plus sign quilt but I have a fat quarter bundle of Denyse Schmidt fabrics just waiting to be made into one. I have never made a plus sign quilt - looks like fun though! great block! Really like these quilts! Would like to do one too! I've not made a Plus Sign quilt, but I like the look of yours, especially the different colored plus signs. Thank you for the giveaway. I love the block and I know my granddaughters would too. I have not made one yet! I've made a plus quilt and I also have a wonky cross one on the go. Do love that motif. Great block! I have not made a plus sign quilt, yet. My Mom is from Switzerland and their flag is red and white with a "plus" sign on it. It's on my bucket list. Congratulations on having your block included in Vol. 13. I would like to make a scrappy Plus quilt. I need to use up some of my smaller scraps, and that would be perfect. I am following by bloglovin. I haven't made a plus quilt yet, but have one on the "to do" list. I love how your block looks when you put them side by side! I could have so much fun with this block! Thanks for the chance to win! I have not made a plus sign quilt yet but have great fabric to use for onr for my sister who is a teacher. I just started following you through Blog Lovin! That what I love about this blog hop-I find so many new blogs to read! Sweet block! Thanks for sharing the giveaway. Love the modern look with the setting and fabric choices. No haven't made a plus sign quilt yet...on the bucket list though! I see a plus sign quilt in my future as a baby quilt. It could easily lend itself to "eye-spy" fabric. The Cotton & Steel Basics would make a great It All Adds Up quilt. Thanks for all the great design ideas and the giveaway. 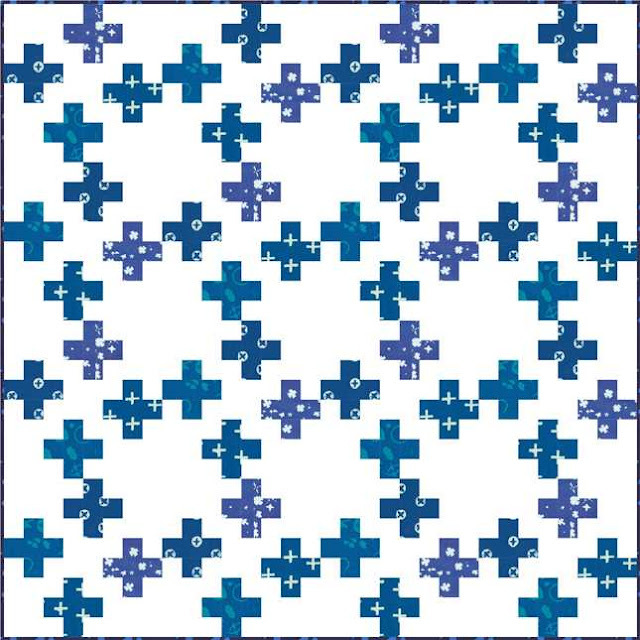 I have not made a plus sign quilt, but your indigo one makes a very tempting impression on me! I've had my eye on making a plus sign quilt for a while. It's quite a bit like a puzzle piece, and puzzle pieces can be for autism, and my son has autism. Pluses are just fun shapes. I made a plus sign about 10 years ago maybe it's time to make one again. I like yours with open spaces. What a great block Paige - congratulations on the inclusion in the magazine. I haven't seen this publication in the UK yet - will have to keep an eye (if I'm not the lucky winner first!) No I haven't made a plus quilt of any type yet but it's certainly on my list - love the different renditions you are able to show with EQ7. Thanks for the giveaway! Wow Paige - your block is gorgeous and right up my alley!! I love Plus quilts and I've made several now. I really like the negative space in yours and how the plusses (?) seem to be randomly placed, like they are floating. Great post too! Congratulations Paige! This is such a clever take on the plus block. And really makes those pluses even cuter! Love your design! Congratulations Paige 👏🏻👏🏽👏🏽👏🏻👏🏻! You are an inspiration 💓! I have requests for baby quilt and twin size quilts. Thank you for sharing all the different affects of the colors combo. WOW, WOW, WOW!!!! I have not made a plus quilt yet - your design looks fun - thanks for showing the different colors! I have never made a plus quilt even though I have seen several plus quilts recently. Your take on the block has really caught my eye and I think it would be great to use bright colors for a baby quilt. CONGRATS on your plus sign block! I have not made a Plus quilt yet, but I suspect I will do one soon! I love the simplicity of this block. Was looking for a design for a baby quilt and this is it. the +1 for baby. I have never made a plus sign quilt, but I love all of your color combinations. Thanks for the giveaway. I haven't made a plus sign quilt before. I really like your scrappy rendition. I have never made a plus sign quilt but I've seen a lot of them out there. Congrats on your block. I would be just as excited! I enjoy following you on Instagram and I get email notices so that I don't miss a post! I haven't made a plus quilt yet. But it's a positive idea! Lol! I subscribed to your news letter. I love finding new blogs. Thank you! I have not made a plus quilt yet. But after seeing all your variations of the quilt, I know I will be making one soon. Love your block. Great inspiration. I am currently working on a queen sized plus quilt for my bed and a lap sized one for one of my nieces. I haven't made a plus sign quilt yet but after seeing all your different colour combinations, I want to make one too! Congratulations Paige! 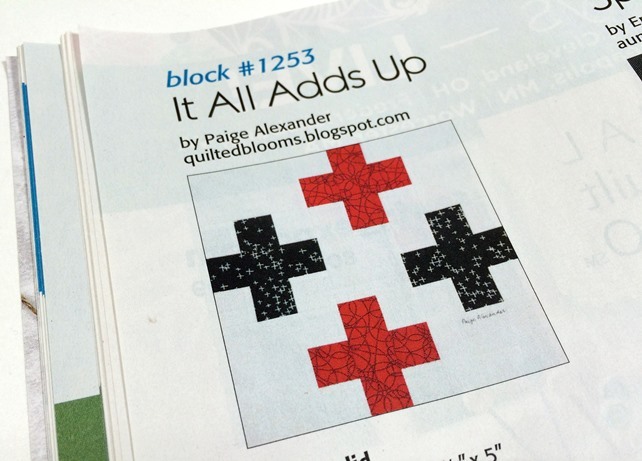 Being published in Quiltmaker's 100 blocks is quite an honor! I really love that your "It All Adds Up" created a very different plus sign quilt layout - it almost has a woven effect. It would be really fun to make with a low volume, scrappy background! My favorite of your EQ7 examples was the Alison Glass Indigo fabrics. I have always wanted to make a plus sing quilt. YOur block is great. Sew versatile. Love all the color variations. I follow you in practically every way! 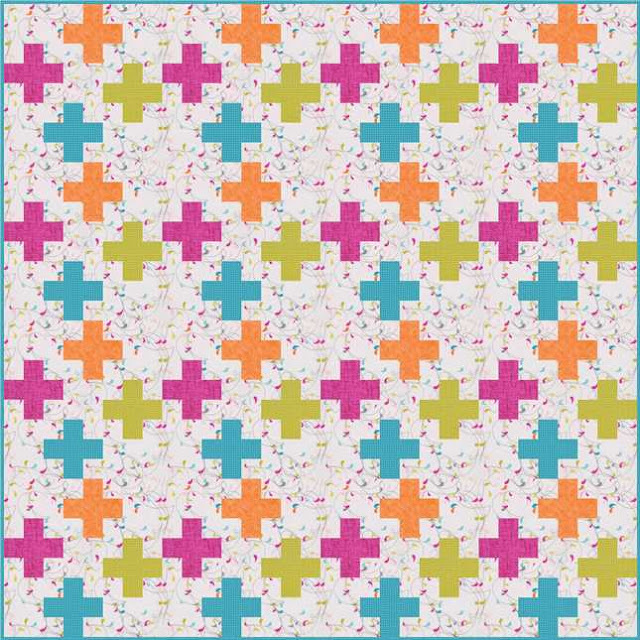 I haven't made a plus sign quilt yet, but I think that it would be a great stash buster - you could do each plus sign in a different fabric. Or in rainbow colors. What fun. Thanks for the opportunity and a great block.